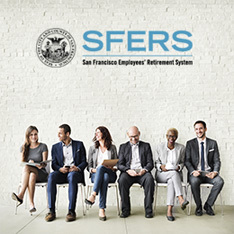 Under the SFERS pension plan, you can retire for service once you reach the qualifying age and years of credited service required under your plan. 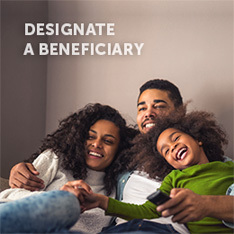 When you retire for service, your monthly benefit is calculated using a formula based on your age at retirement, your years of credited service (accumulated time for periods during which you made contributions to plan), and your final compensation (your highest average pay). See Summary of Key Plan Provisions for service retirement formula. Your retirement benefit is paid to you on the last day of each month for the remainder of your lifetime and the lifetime of your qualified survivor (see “Survivor Benefits” for a definition of qualified survivor). The maximum retirement benefit payable as a member in the Safety Plans is 90% of Final Compensation. 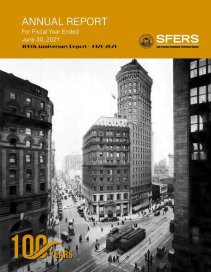 Online Benefits Modeler – 24/7 access to the online benefit modeler via mySFERS secure member portal. Prepared Benefits Estimate – for members currently qualified to retire for service or will qualify within 12 months. Download, complete and submit a Request for Estimate Form (allow six (6) to eight (8) weeks to receive your estimate). 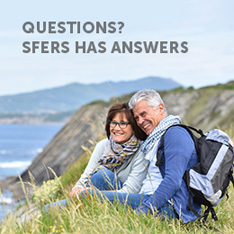 — Schedule a counseling appointment: log in to mySFERS secure member portal to access our online Retirement Appointment Scheduler. Counseling sessions are reserved for members who are qualified for service retirement. Sessions can last up to two hours (up to three hours for group sessions), so please plan accordingly. — Meet with a Retirement Counselor to complete the retirement application process. Schedule your counseling session to take place within six months of your desired retirement date.